This summer we spent a lot of time on the road visiting Utah's State and National Parks. 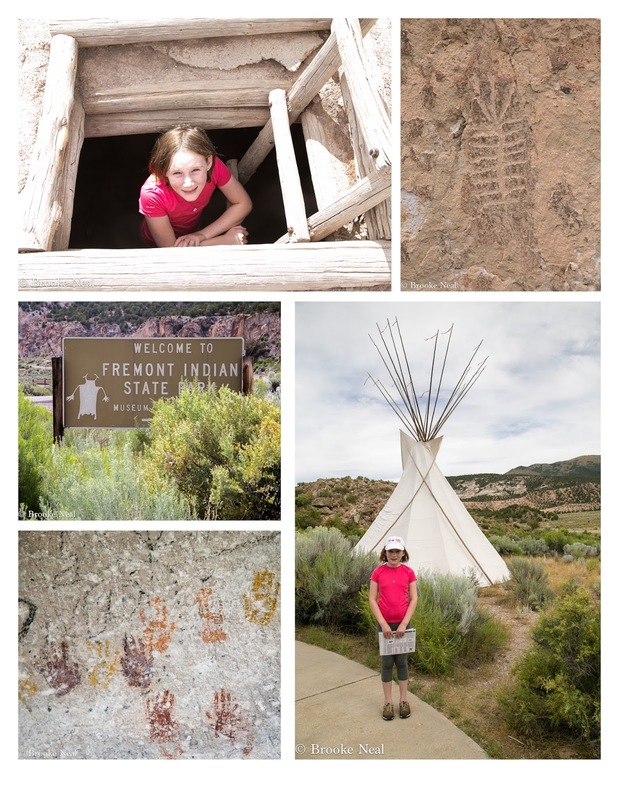 Fremont Indian State Park is a smaller and perhaps lesser known park near Richfield, UT and truth be told would not have been on our radar except that I worked here for a few weeks one summer. I studied Anthropology at university and each summer I worked for the Office of Public Archaeology--our jobs usually consisted of surveying public land that was in contract for private use. Our surveys consisted of a lot of hiking in remote sections of the state, staring at the ground looking for evidence of human occupation. 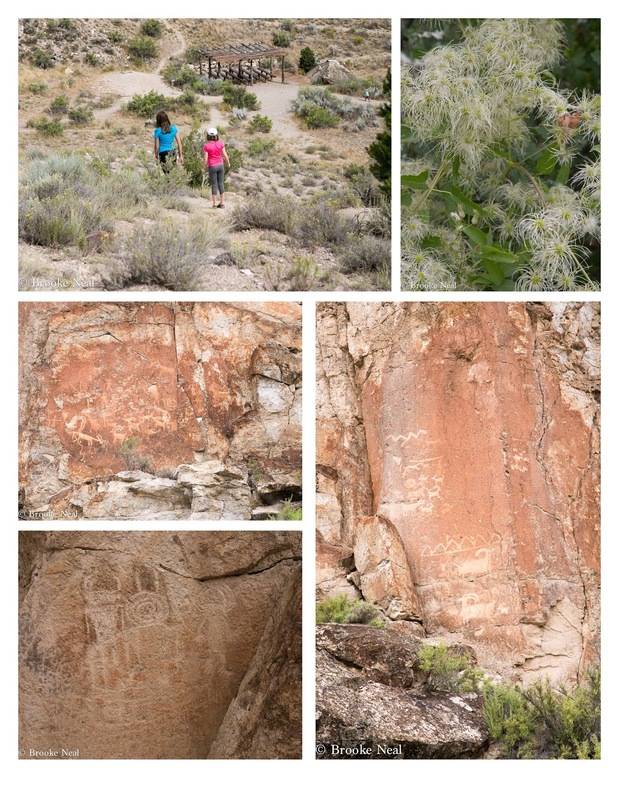 This job however, was surveying and documenting the Fremont Indian rock art panels in the canyon. It was a fun job because the "sites" were these great works of art (and perhaps graffiti) from about 1000 years ago. With only primitive tools to work with, the Fremont had to keep the shapes simple, yet the images are recognizable--sheep (or some other 4 legged creature), people and concentric circles are the most common. Tip: Stop by the small museum to see a film familiarizing you with the ancient people who inhabited the area and to pick up a map of the rock art with in walking distance.